Kid Summers was the 12th player to make his Major League debut from our list of 385 Cedar Rapids professional baseball alumni who have played in Cedar Rapids either before or after their MLB debut. Drauby made his big league debut at age 25 on August 5, 1893, playing for the St. Louis Browns. He played two games for the Browns making two plate appearances and was hit by a pitch and scored a run. 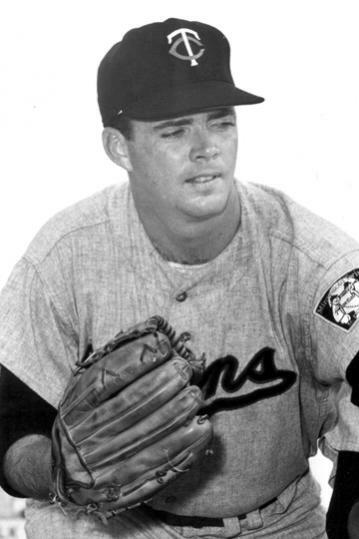 The Browns finished in tenth place with a 57-75 record under manager Bill Watkins. Summers was the fourth player to play in Cedar Rapids before making his MLB debut. Hall of Famer John McGraw (1891) was the first. Kid Summers played for 9 different teams in 6 minor league seasons between 1890 and 1895. He made stops playing for the Harrisburg Ponies, Cedar Rapids Canaries, Oconto, Dayton, Quincy Ravens, Chattanooga Chatts, Nashville Tigers, Toledo White Stockings and the Chattanooga Warriors. Kid Summers was a member of the 1891 Cedar Rapids Canaries posted a 41-47 record before the Illinois Iowa League disbanded on August 28 when the Ottawa and Ottumwa clubs collapsed leaving Cedar Rapids without opponents. 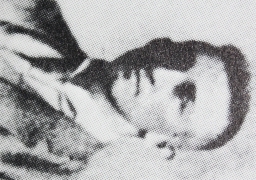 Kid Summers passed away after an accident at his home on October 16, 1895 at age 27 in Toronto, Ontario. Jake Drauby was the 11th player to make his Major League debut from our list of 385 Cedar Rapids professional baseball alumni who have played in Cedar Rapids either before or after their MLB debut. Drauby made his big league debut at age 28 on October 3, 1892, playing for the Washington Senators. He played ten games for the Senators hitting .206 with a triple and three RBI in 34 at bats in 1892. The Senators finished in tenth place with a 58-93 record under managers Billy Barney, Arthur Irwin and Danny Richardson. Drauby was the third player to play in Cedar Rapids before making his MLB debut. Hall of Famer John McGraw (1891) was the first. Jake Drauby played for 22 different teams in 17 minor league seasons between 1886 and 1902. He made stops playing for Williamsport, the Danbury Hatters, Charleston Quakers, Sunbury, Mahanoy City, Minersville, Ashland, Hazleton Pugilists, York, Dallas Hams, Cedar Rapids Canaries, Johnstown Pirates, Harrisburg Ponies / Scranton Indians, Buffalo Bisons, Providence Grays, Reading Coal Heavers, Richmond Bluebirds, Harrisburg, Newport News Shipbuilders, Shreveport Giants, and the Newark Sailors. Jake Drauby was a member of the 1890 Cedar Rapids Canaries squad that finished with a record of 62-48 under manager James Plumb. Drauby returned in 1891 to hit .290 with 18 doubles, 6 HR and stole 8 bases for the Canaries. Cedar Rapids posted a 41-47 record before the Illinois Iowa League disbanded on August 28 when the Ottawa and Ottumwa clubs collapsed leaving Cedar Rapids without opponents. Jake Drauby passed away on January 1, 1916 at age 52 in Summerdale, Pennsylvania. John Godar was the tenth player to make his Major League debut from our list of 385 Cedar Rapids professional baseball alumni who have played in Cedar Rapids either before or after their MLB debut. Godar made his big league debut at age 27 on July 8, 1892, playing for the Baltimore Orioles. Godar played five games for the Orioles hitting .214 with a RBI and stole a base in 14 at bats in 1892. The Orioles finished in 12th place with a 41-101 record under managers George Van Hanltren, John Waltz and Ned Hanlon. Godar was the second player to play in Cedar Rapids before making his MLB debut. Hall of Famer John McGraw was the first. John Godar played for 13 different teams in eight minor league seasons between 1887 and 1896. He made stops playing for the St. Joseph Reds, Hot Springs Blues, Houston Babies, Galveston Giants, Galveston Sand Crabs, Dallas Tigers, Sacramento Senators, Cedar Rapids Canaries, Oakland Colonels, Quincy Ravens, Mansfield Electricians, Mobile Blackbirds and Birmingham Bluebirds. John Godar served as the player manager for the 1891 Cedar Rapids Canaries replacing James Plumb during the season. Godar hit .233 with 4 HR and stole 36 bases for the Canaries. Cedar Rapids posted a 41-47 record before the Illinois Iowa League disbanded on August 28 when the Ottawa and Ottumwa clubs collapsed leaving Cedar Rapids without opponents. Godar was given charge of finding a new team for his players by L.J. Wilder, president of the board of directors for the Cedar Rapids franchise. John Godar passed away on June 23, 1949 at age 84 and is buried at All Saints Cemetery in Des Plaines, IL. The following article appeared in the August 29, 1891 edition of the Cedar Rapids Evening Gazette with additional details of the collapse of the Iowa Illinois League that left Cedar Rapids without baseball from 1892-1894. Cedar Rapids returned as a member of the Eastern Iowa League in 1895. George Ulrich was the ninth player to make his Major League debut from our list of 385 Cedar Rapids professional baseball alumni who have played in Cedar Rapids either before or after their MLB debut. Ulrich played in the major leagues before and after he played in Cedar Rapids. He made his big league debut at age 23 on May 1, 1892, playing for the Washington Senators. Ulrich played 6 games for the Senators hitting .292 with a double, scored a run and stole a base in 24 at bats in 1892. The Senators finished in tenth place with a 58-93 record under managers Billy Barney, Arthur Irwin and Danny Richardson. Ulrich played one game for the Cincinnati Reds in 1893 going 0-3 with a stolen base. He returned to the big leagues with the New York Giants at age 27 in 1896. He appeared in 14 games playing first and second base while hitting .178 with a double and a RBI in 45 at bats as the Giants posted a 64-67 record under managers Arthur Irwin and Bill Joyce. George Ulrich played for 16 different teams in eight minor league seasons between 1892 and 1899. He made stops playing for the Philadelphia Athletics, Birmingham Grays, York White Roses, Wilkes Barre Coal Barons, Kansas City Cowboys, Omaha Omahogs, Quincy Browns, Cedar Rapids Rabbits, Paterson Silk Weavers, Syracuse Stars, Toronto Canucks, Richmond Giants, Lancaster Maroons, Reading Coal Heavers, Allentown Peanuts and the Manchester Manchesters. 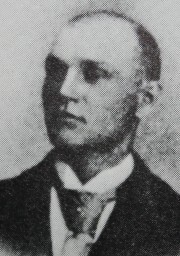 George Ulrich was a member of the 1896 Cedar Rapids squad that finished fourth with a 32-47 record in the Western Association under managers Hiram Ebright and Belden Hill‘s guidance. George Ulrich passed away on January 9, 1918 at age 48 and is buried at Fernwood Cemetery in Fernwood, PA.
John O’Connell was the seventh player to make his Major League debut from our list of 384 Cedar Rapids professional baseball alumni who have played in Cedar Rapids either before or after their MLB debut. O’Connell played in the major leagues before and after he played in Cedar Rapids. He made his big league debut at age 19 on August 22, 1891, playing for the Baltimore Orioles. O’Connell played 8 games at second base, shortstop and in the outfield for the Orioles while hitting .172 with 1 double, seven RBI and stole a pair of bases in 29 at bats in 1891. The Orioles finished in fourth place with a 71-64 record under manager Billy Barney. O’Connell returned to the big leagues with the Detroit Tigers at age 30 in 1902. He appeared in eight games playing first and second base while hitting .182 in 22 at bats as the Tigers posted a 52-83 record under manager Frank Dwyer. John O’Connell played for 19 different teams in ten minor league seasons between 1891 and 1905. 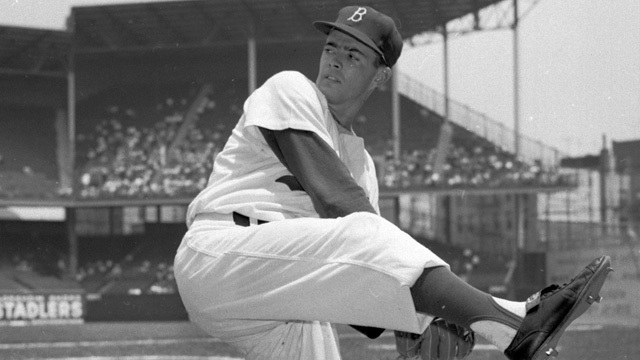 He made stops playing for Lynn, the Mobile Blackbirds, Chattanooga Chatts, New Orleans Pelicans, Dover, Worcester, Bangor Millionaires, Lewiston, Lawrence Indians, Cedar Rapids Rabbits, Quincy Bluebirds, Topeka Giants, Ottumwa Giants, Scranton Miners, Utica Pentups, Albany Senators, Omaha Omahogs, Des Moines Hawkeyes, Colorado Springs Millionaires, Milwaukee Brewers, Evansville River Rats, a second tour with Cedar Rapids, Fort Wayne Railroaders, Boise Fruit Pickers, Vancouver Veterans and the Seattle Siwashes. John O’Connell was a member of the 1896 Cedar Rapids squad that finished fourth with a 32-47 record in the Western Association under managers Hiram Ebright and Belden Hill‘s guidance. O’Connell returned in 1902 to play for the Rabbits squad that finished third in the Three-I League with a 63-56 record under Belden Hill. John O’Connell passed away two days short of his 36th birthday on May 14, 1908 in Derry, NH. He was buried at Immaculate Conception Cemetery in Lawrence, Massachusetts. Bill Bowman was the sixth player to make his Major League debut from our list of 384 Cedar Rapids professional baseball alumni who have played in Cedar Rapids either before or after their MLB debut. Bowman made his big league debut on June 18, 1891, playing for the Chicago Colts. Bowman caught 15 games for the Colts while hitting .089 with 1 double and five RBI in 45 at bats in his only major league season. The Chicago Colts finished in second place with a 82-53 record under manager Cap Anson. Bill Bowman spent nine seasons between 1888 and 1899 in the minor leagues playing for Rockford, the Wheeling National Citys, Sacramento Senators, Rochester Hop Bitters, Buffalo Bisons, Cedar Rapids, New Orleans Pelicans, Mobile Blackbirds and the Worcester Farmers. Bill Bowman was a member of the 1895 Cedar Rapids squad that played in the Eastern Iowa League under manager John Buchan’s guidance. John Slagle was the fifth player to make his Major League debut from our list of 384 Cedar Rapids professional baseball alumni who have played in Cedar Rapids either before or after their MLB debut. Slagle made his big league debut on April 30, 1891, playing for the Cincinnati Kelly Killers. Slagle pitched 1 1/3 scoreless innings of relief in his only big league appearance. He struck out one while allowing three hits and one walk. 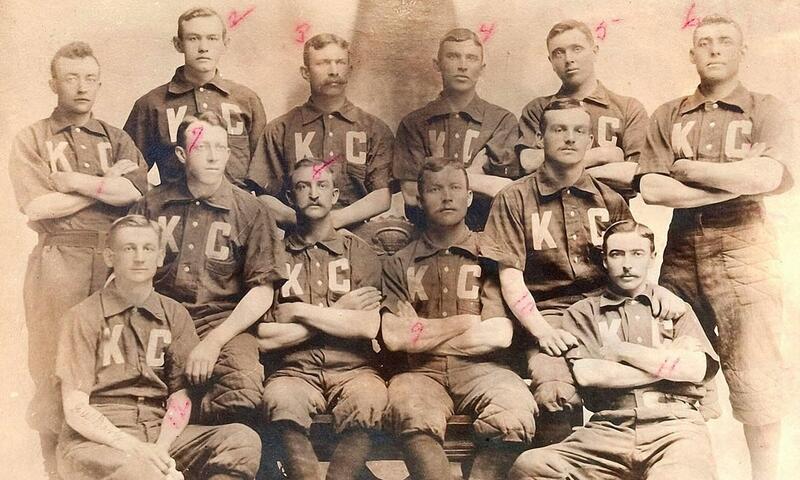 The Cincinnati Kelly Killers were a member of the American Association in 1891. It was the only season Cincinnati would field a team in two leagues. The Kelly Killers and Frank Bancroft are credited with starting the “Opening Day” festivities that are now seen across baseball. The Kelly Killers season ended early when the franchise was suspended on August 17, 1891 and ceased operations due to financial issues. The Milwaukee Brewers of the Western League stepped in and played the rest of the Kelly Killers’ schedule. Four teams (St. Louis, Baltimore, Washington and Louisville) from the American Association were accepted into the National League following the season and the other franchises were paid to go away. Cincinnati would never be a two team town again. 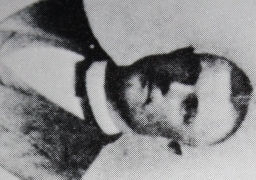 John Slagle was a member of the 1896 Cedar Rapids Rabbits squad that finished the season in fourth place in the Western Association with a 32-47 record under the guidance of managers Hiram Ebright and Belden Hill. Belden Hill was the fourth player to make his Major League debut from our list of 384 Cedar Rapids professional baseball alumni who have played in Cedar Rapids either before or after their MLB debut. Hill made his big league debut on August 27, 1890 at the age of 25, playing for the Baltimore Orioles. He hit .167 in 30 at bats, stole 6 bases, scored three runs and had two RBI in 9 games. Hill suffered a broken leg in 1891 and never returned to Major League baseball. Belden Hill played 19 (1887-1905) seasons of minor league baseball playing for 16 different organizations, many in the capacity of player manager (1896-1905). Hill managed the Cedar Rapids Bunnies following his playing days from 1906-08 and then again from 1913-14. Hill only had one losing season during his Cedar Rapids tenure as a full season manager, a 59-65 mark in 1913. His team won two championships (1897 and 1906) and rarely finished lower than third place. Hill has the most career wins by any manager in Cedar Rapids club history with a career mark of 831-660 (.557). 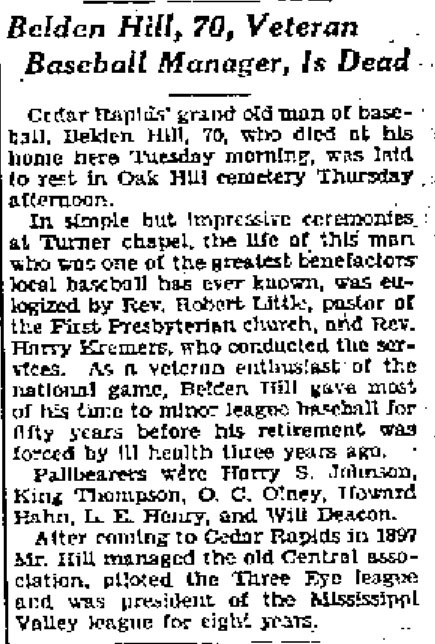 Belden Hill, along with Mike Sexton of Rock Island, formed the first Three-I League in 1901 to bring baseball back to Cedar Rapids after a one year layoff. He later organized the Mississippi Valley League in 1922 and served as its president in 1926 and from 1928 to 1931. Beldin Hill started the 1896 season as the Cedar Rapids Rabbits third baseman. 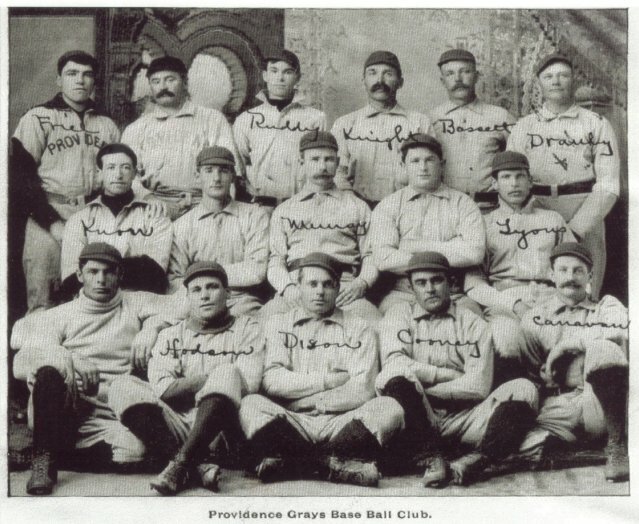 The team had compiled a 19-32 record under manager Hiram Ebright, until Ebright resigned on the morning of June 28, 1896. Ebright recommended Hill as his successor and the Cedar Rapids club found its manager for 14 of its next 15 seasons. Beldin Hill led the Cedar Rapids Rabbits to a pair of runner-up finishes in 1898 and 1899 as the Western Association struggled mightily to complete its full season each year. Cedar Rapids was left without a baseball team in 1900 when the Western Association disbanded on June 16, 1899 and was reassembled as the Western League and Beldin Hill served as the player manager for the Des Moines Hawkeyes for the 1900 season. Belden Hill was instrumental in forming the first Three-I League in 1901 and returned to lead the Cedar Rapids Rabbits squad to a second place finish with a 69-43 record. The 1902 squad finished third with a 63-56 mark and the 1903 squad finished 60-60 in their final season being known as the Rabbits. Hill and the renamed Cedar Rapids Bunnies rebounded for a runner-up finish in 1904 with a 70-52 record. The Bunnies posted a 63-61 mark in 1905 to place fifth in Hill’s final season playing in the field at age 40. 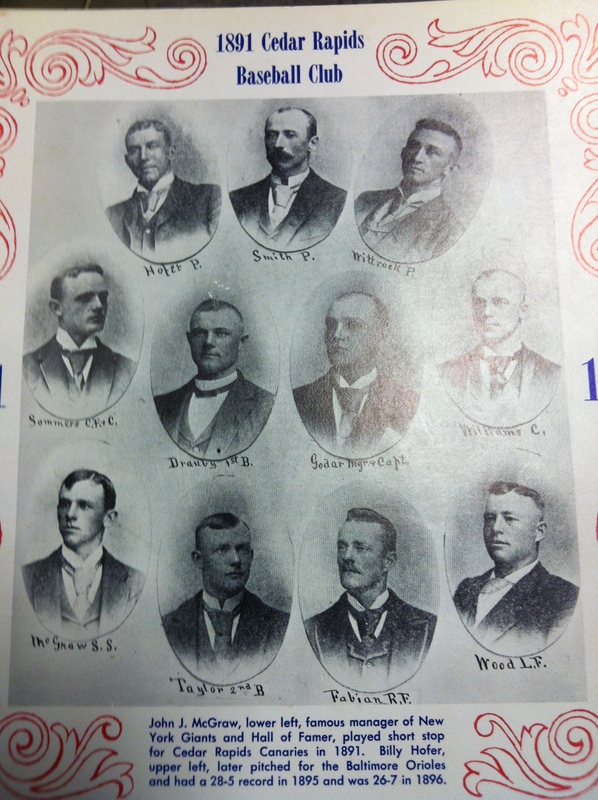 Belden Hill and the 1906 Bunnies earned Cedar Rapids its first Three-I league championship with a 79-43 record in Hill’s first season on the bench. The 1906 championship squad featured future big leaguers Neal Ball (turned MLB baseball’s first unassisted triple play), Russ Ford (inventor of the Emery/Scuff Ball), Rebel Oakes and Doc Crandall among others. Hill led the Bunnies to 72-61 record in 1907 and a 69-63 mark in 1908 before stepping down as the team’s manager. Belden Hill returned to pilot the squad for their first two seasons in the Central Association in 1913 and 1914. The Bunnies finished 59-65 and 65-59 respectively in Hill’s final two seasons at the helm. Belden Hill once again stepped down at the age of 49 after the 1914 season. Belden Hill would help organize the Mississippi Valley League and served as the league president in 1926 and between 1928-31. Belden Hill was born August 24, 1864 in Kewanee, Illinois, and died October 22, 1934, at Cedar Rapids at age 70. Old Hill Park, the predecessor of Veterans Memorial Stadium, was named in his honor. Belden Hill was a member of the inaugural class of the Cedar Rapids Professional Baseball Hall of Fame in 1999.